The U.S. Office of Inspector General has been keeping very busy fighting fraud and abuse in the health care industry. And they are making great progress. In fact, for every dollar the OIG spends on this effort, $16 is returned to the U.S. treasury. That’s a 16:1 return on investment! Is it any wonder the government is making such an effort to fight fraud and abuse, wherever it occurs? While much of that fraud is perpetrated by companies that never even see a patient, no one is impervious to a compliance audit. In order to help health care practices avoid a costly and serious compliance infraction, Kareo recently sponsored a short video entitled How to Avoid the Three Deadly Sins of Compliance featuring noted practice management and medical billing consultant Betsy Nicoletti, MS, CPC. The video is just one in a series of complimentary informational webinars and videos sponsored by Kareo. This blog will offer highlights from Betsy’s video. You can view it now by clicking on the image below. Betsy’s first “deadly sin” is staying out of Medicare’s business. 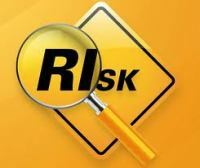 This can indeed be deadly to your bottom line because Medicare is frequently issuing clarifications and updates to its guidelines for claims submissions and what it will or won’t cover. There are other guidelines you need to pay attention to as well. Betsy advises joining Medicare’s contractor listserve and listen to its contractor audio advisories. You can also check out the CMS website for updates or other important information. It is imperative that you stay up-to-date on any news from Medicare. Betsy’s second deadly sin is encouraging a whistleblower in your practice. No one would do this intentionally, of course. But dismissing any concerns that your staff bring to you is a mistake. How many time have you read about a whistleblower who states, “I tried to tell them, but they didn’t listen.” Take concerns seriously. Also, Betsy advises that you have a compliance plan that includes a code of conduct and privacy statement that stipulates staff members will come to you first if they have any concerns about how claims are handled. And finally, Betsy’s third deadly sin is failing to compare your coding and billing data to industry norms for your specialty. While this is admittedly a tedious task, it is the only sure way to determine if you are in the ballpark with other like practices. She suggests downloading reports from your medical billing system and finding comparative data to analyze your charges and billing practices. You may find comparative data from commercial vendors or professional medical societies – the latter would be your best resource, if it’s available. 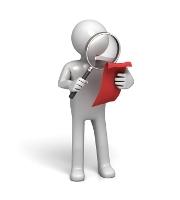 Look at such items as the frequency of E&M codes, use of modifiers, and diagnostic test orders or procedure codes. Taking the time to compare before an audit may help you avoid one! Betsy Nicoletti, M.S., CPC, is the founder of Codapedia.com, a wiki for physician reimbursement. She is a nationally known speaker and consultant, and can be reached at www.mpconsulting.org. You can watch another informational video by Betsy Nicoletti on Better Collections Through Improved Medical Coding now. Or, view her archived webinar on What You Can Do to Prepare for Medicare Payment Reductions. Join speaker Sara Larch for this webinar to discuss how to manage your medical billing team for maximum performance. In a world of rising operating costs, new EHR systems, and future new reimbursement models, physicians, practice administrators and managers and medical billing service owners more than ever must depend on their medical billing teams to deliver outstanding financial results. Learn “best practices” in management and discuss real world experiences that you can apply to your medical billing team. Sara Larch, MSHA, FACMPE, principal, Business of Medicine and co-author of “The Physician Billing Process: 12 Potholes to Avoid in the Road to Getting Paid,” describes how to apply the important elements of performance management to your medical billing team to reduce your operating costs and increase your medical group’s revenue. Question-and-Answer Session — Ask your tough questions and get answers to your current concerns about how to manage your medical billing team for maximum performance. Download the handout for the Kareo Managing Your Medical Billing Team – Get the Performance You Expect Webinar 9-15-11 now. Private practice owners, office managers, billing managers, billing service owners and others concerned about maximizing the performance of their medical billing teams. “Managing Your Medical Billing Team: Get the Performance You Expect” meets the criteria of the Professional Association of Health Care Office Management and is approved for 1 CEU(s). Sara Larch, MSHA, FACMPE, is a speaker, author and consultant in the healthcare industry. She has more than 30 years of experience in medical group operations in private physician and large medical group practices, non-profit health systems, academic medical centers, and physician faculty practice plans. Sara currently assists medical group practices with practice analysis & operational improvement, physician practice integration and alignment, facilitating and leading change, and physician and hospital relationships. Sara is Past Board Chair of the Medical Group Management Association and Past President of the Academic Practice Assembly and the Association of Managers of Obstetrics and Gynecology. She is a co-author of “The Physician Billing Process: 12 Potholes to Avoid in the Road to Getting Paid” and is a popular speaker at national and local conferences. Miss One of Our Complimentary Medical Billing Webinars? Catch Up Now! Every month, Kareo offers a complimentary informational webinar designed to help you improve your medical billing results. If you or a colleague has missed one of the webinars, you can still catch up by watching the recorded version. You’ll find a complete list with links to the recordings below. And don’t forget to register for our August webinar, Everything You Need to Know About Maximizing Patient Collections with Elizabeth Woodcock, MBA, FACMPE, CPC, tomorrow, August 25th, and Managing Your Medical Billing Team: Get the Performance You Expect with Sara Larch, MSHA, FACMPE, on Thursday, September 15th. Remember, register now for our August webinar, Everything You Need to Know About Maximizing Patient Collections with Elizabeth Woodcock, MBA, FACMPE, CPC, tomorrow, August 25th, and Managing Your Medical Billing Team: Get the Performance You Expect with Sara Larch, MSHA, FACMPE, on Thursday, September 15th. And if you have a subject you’d like to see us cover in a webinar, please write it in the Comments section. We want to provide the information you need and want! How can physicians and the medical billing professionals who work for them ensure they survive—and even thrive—when the reimbursement outlook is so grim? Kareo recently offered a webinar that tackled that very question—with some promising strategies you can implement in your practice. During What You Can Do to Prepare for Medicare Payment Reductions, noted practice management consultant and author Betsy Nicoletti, M.S., CPC, offered three overarching strategies that can bring more money back into your practice. Kareo often sponsors webinars that feature industry leaders in practice management and effective medical billing. 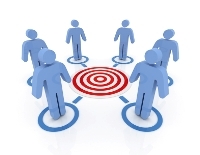 In a series of blogs, we will touch on the strategies Betsy discussed during her recent webinar. What was Betsy’s first strategy? Consider taking advantage of Medicare incentive programs. The Affordable Care Act and stimulus program passed by Congress created CMS incentive programs that provide dollars for implementing new ways of managing patient care within a practice. The good news is that there are three main initiatives for which practitioners can earn dollars: e-prescribing, EHR implementation, and the Physician Quality Reporting System (PQRS). The bad news is that penalties will eventually be levied on payments to those practices that have not adopted these initiatives at certain benchmarks in time. In the case of e-prescribing, those penalties may kick in as soon as 2012. This blog post will focus solely on the first incentive program, e-prescribing. 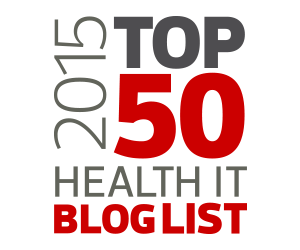 Upcoming blogs will cover EHR implementation and PQRS separately. Check back, too, for subsequent blogs that will cover Betsy’s second and third main strategies. Don’t want to wait? You can watch the complimentary webinar in its entirety right now. Practices that are prescribing and transmitting medication orders electronically in 2011 will receive a 1% dividend on payments for those claims that reflect electronic prescriptions. The same incentive—a 1% dividend—will apply through 2012, and then it drops to .5% in 2013. E-prescribing activity in 2011 also determines if a penalty will be levied in 2012 and beyond. If a practice cannot show that it has e-prescribed medications in 10 claims during the first half of 2011, a penalty of 1% will be applied to claims submitted in 2012. Similarly, if a practice cannot show it has e-prescribed in 25 Medicare claims submissions throughout calendar year 2011, a penalty will be applied for claims submitted in 2013. Practices that have not started e-prescribing medications by January 1, 2012, will have a 1% penalty levied on claims that do not reflect ordering prescriptions electronically. That penalty increases to 1.5% in 2013 and jumps to 2% in 2014, where it will remain if practices are not e-prescribing by then. Of course, there are existing and proposed exemptions to these e-prescribing requirements. Watch the news and check your medical society website to see if there are revisions to these guidelines. You can also log on to http://www.cms.gov/EPrescribing/ to learn more on how this may affect you. And don’t forget to check back to read our blogs covering the rest of Betsy’s webinar. If you would like to be added to our notification list for upcoming informative webinars such as this one, click here. In the medical billing industry, technology can be a double-edged sword: sometimes it’s difficult to live with, but you certainly can’t live without it. As emerging technologies rapidly transform the industry in a tough economy, forward-thinking medical billing professionals are leveraging those tools to impress current clients—and win new ones as well. How can you use technology to grow your business? 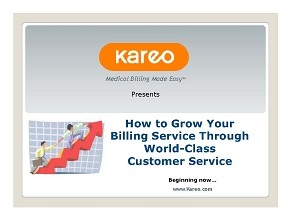 In a webinar sponsored by Kareo entitled How to Grow Your Billing Service Through World-Class Customer Service, three experts in the medical billing industry discuss their strategies for scoring new clients and keeping the ones they have. The webinar is one in an ongoing series of informative online presentations that you can access on the Kareo website at your convenience. They were created to help you learn about successful strategies for growing and managing your medical billing service. The first post from our recent webinar touched on The Importance of Excellent Customer Service to Sales/Growth. This is the second post in a series of three blogs based on the webinar. View the recorded webinar in its entirety now. In the How Technology Can Help You Grow Your Business portion of the webinar, Jim Sholeff, CEO of ECCOHealth in Las Vegas, begins by advising that billing companies take full advantage of the software they have to improve customer satisfaction and perception. That means knowing the broadest range of capabilities your system has and using them to full advantage. The flip side to this is also pertinent: Jim says that software issues can make you look like you don’t know what you are doing, even though it may just be a lack of familiarity with your software. Don’t let current clients ask a question that you can’t readily answer—it erodes client confidence. Jim has had great success by discussing technology in his sales presentations. “Technology says a lot about your company,” he stated. “Are you current? Are you in control? If you’ve got it, flaunt it. Potential clients want to know if they will have immediate access to information such as reports, patient data, or related documents.” If you can deliver, you can often close the deal. Jim says other points of discussion during a sales call that are impressive to potential clients revolve around transparency and access. “That builds trust, knowing they can see everything about a claim,” Jim said. “They also like knowing they can log on from any internet connection.” Of course, not all software is web-based and accessible by clients like Kareo. (Learn more about Kareo’s SaaS capabilities.) “If you can offer these attributes that provide ease of use with advanced reporting capabilities, take credit for making sound business decisions that are keeping you at the forefront of the medical billing industry,” Jim advises. He also had other great technology selling points that may prove helpful to you. Taken together, Jim says they will let prospective clients know you are up to the challenge of managing their revenue cycle. There’s no doubt: there are more coding errors for hospital services than office services. For some physicians, the volume of hospital services is so much lower, they never learned the guidelines as clearly. But even among hospitalists, who care exclusively for hospitalized patients, the coding isn’t perfect. Just a few changes, however, can dramatically change that picture and improve the accuracy of hospital coding. Level two and three inpatient and observation admissions require past medical, family and social history and ten systems in the review of systems. A comprehensive exam is also required. Without all of those, the admission audits at the lowest level, no matter how sick the patient is. Find a template, and use it when dictating the admission. A subsequent hospital visit is in the middle of a chart that tells the entire story of this episode of care. 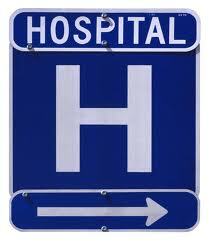 Because of that, many physicians don’t describe the reason for the hospitalization for each visit, finding it redundant. Auditors say, “Each visit must stand on its own. Without a reason for the rounds noted each day, the visit isn’t billable.” A prudent recommendation: briefly note the reason for the admission each day. “Follow up: MI” or “Follow up COPD” is sufficient. After briefly noting the reason for the admission, describe how the patient is doing. Document the patient’s symptoms related to the admission. Document pertinent negatives related to their conditions. If the patient is truly without any complaints or symptoms, document the events of the previous 24 hours as described by the nurses or patient’s family. Hospitalists are not house staff. Surgeons are paid a global fee to provide post op care related to the surgery, including pain, wound care, fluids and post op instructions. A medical physician may see the patient to manage their medical conditions if there is medical necessity for the visit. Document the status of the patient’s chronic problems or their symptoms in the subjective portion of the note. If the entire HPI is about the surgical follow up, there is no medical necessity for the medical specialist to see the patient. Similarly, the assessment and plan documented by the hospitalist should address medical problems. Too often, the assessment is a long list of problems and conditions, some current, some not. Which problems were addressed by this physician at this visit? The assessment should consist of those, along with the plan. Some active problems managed by other specialties are included in the assessment “Urinary retention, appreciate Urology’s help,” makes it clear that the physician writing the note is not managing that condition. While it is true that the Office of Inspector General is concerned about cloned notes, the clinical problems with copying the notes from rounds from one day to the next is that another clinician can’t tell what happened at that visit. A too common practice is to open yesterday’s note and edit it. When this happens, it is impossible to separate today’s history, assessment and plan from yesterday’s or the day before. There are often inconsistencies as a result, as in the following history: “Patient is intermittently confused but more alert. Patient lethargic and minimally responsive.” However tempting, don’t copy yesterday’s note. Adopt these practices and your coding error rate will plummet. Betsy Nicoletti, M.S., CPC, is the founder of Codapedia.com, a wiki for physician reimbursement. She is a nationally known speaker and consultant, and can be reached at www.mpconsulting.org. 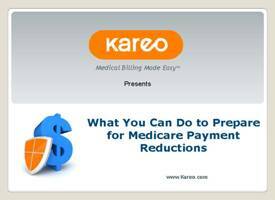 You can hear Betsy speak in a complimentary recorded webinar presented by Kareo on “What You Can Do to Prepare for Medicare Payment Reductions.” Recently, Betsy wrote Medical Billing Advisory: Hold Those Hospital Charges! Note: Nancy Maguire has written a number of articles for our “Getting Paid” blog providing an overview of ICD-10 and the coding changes required. You can read these articles now. In this series of articles, she will look specifically at changes in specific chapters from ICD-9 to ICD-10. An injury is a general term that refers to bodily harm caused by accidents, falls, blows, burns or corrosions, sprains, strains and more. The term “injury” may be synonymous with a wound or with trauma. ICD-10 classifies injuries to the anatomic site of the injury whereas ICD-9 classifies injuries to the type of injury (ex, fractures). Extension “A” for initial encounters is used while the patient is receiving active treatment for the injury (e.g., surgical treatment, emergency department encounter, and evaluation and treatment by a new physician). The extension “D” for subsequent encounters is used for encounters after the patient has received active treatment of the injury and is receiving routine care for the injury during the healing or recovery phase (e.g., cast change or removal, removal of external or internal fixation device, medication adjustment, other aftercare and follow-up visits following injury treatment). Extension “S”, sequel (late effect), is used for complications or conditions that arise as a direct result of an injury, such as contracture after an injury. The contracture is the sequela of the injury. When using extension S, it is necessary to use both the injury code that precipitated the sequela and the code for the sequela itself. The S is added only to the injury code, not the sequela code. The S extension identifies the injury responsible for the sequela. The specific type of sequela (e.g., contracture) is sequenced first, followed by the injury code. Sequela is a new term in ICD-10-CM and using the sequela extension replaces the late effects categories (905–909) in ICD-9-CM. Code blocks begin each chapter in ICD-10-CM and there are 20 category blocks in chapter 19. Each block has a series of related conditions; for example, blocks S00-S09 describe injuries to the head. Blocks S60-S69 relate to injuries of the wrist and hand. Chapter 19 Injury codes have a fifth character to define the type of injury, a sixth character may describe laterality and a seventh character requirement for the encounter, (ex, S42.221G, “2-part displaced fracture of surgical neck of right humerus, subsequent encounter for fracture with delayed healing”). The 7th character will differ based on the injuries sustained. The clinical terms and code descriptors are very specific in ICD-10 and even the experienced coder may require additional anatomy and physiology training in preparation for this change. The S codes describing injuries have over 38,000 codes and a fracture of the femur could have over 600 code choices. The physician documentation must support the site of the injury, laterality, and the healing process, especially in coding fractures. There are specific rules to follow in assigning ICD-10 diagnosis codes as there are in ICD-9 code selection. A fracture not indicated as displaced or nondisplaced should be coded to displaced. A fracture not indicated as open or closed should be coded to closed. Multiple fractures are sequenced in accordance with the severity of the fracture. Documentation must support the order of severity. Care for complications of fractures, such as malunion and nonunion, should be reported with the appropriate 7th character extensions for subsequent care with nonunion (K, M, N), or subsequent care with malunion (P, Q, R). For example, code S52.111P describes a Torus fracture of upper end of right radius, subsequent encounter for closed fracture with malunion. That is a lot of information bundled into one code and is an example of the detail required for ICD-10 codes in many cases. T38.4×6 Underdosing of oral contraceptives (codes for underdosing will never be the primary or first-listed code). The appropriate 7th character is to be added to each code from category T38 (A- initial encounter, D-subsequent encounter, or S-sequel encounter). T88 Other complications of surgical and medical care, not elsewhere classified. Categories T80-T88 must have a 7th character extension (A, D, S) to complete the full code. Additional code(s) would be assigned to identify the specified condition resulting from the complication. For example, T80.21 describes an infection due to central venous catheter and requires a 7th character. Code T80.21xA is a full code for the initial encounter. The placeholder X is required for the missing digit in the 6th place. If the physician documented the infection as sepsis, code A41.9 would be an additional code. Chapter 19 can be complex and confusing at times, but the instructional notes and guidelines will make it less of a challenge. 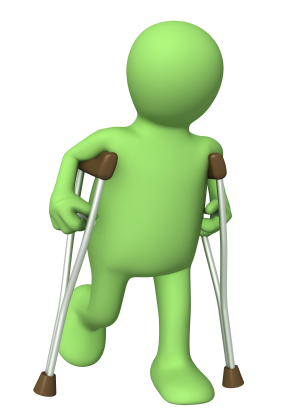 There are some codes in this chapter that describe the injury and the cause; in this case an external cause code will not be assigned (chapter 20). This chapter will require patience and persistence but with time and practice it can be managed. Hear Nancy speak in two complimentary archived webinars on ICD-10 presented by Kareo medical billing software: How to Prepare for ICD-10/5010 to Reduce F41.1 (Anxiety Reaction) or Preparing for ICD-10-CM: The Nitty-Gritty of Diagnosis Coding. Savvy medical billing professionals know that timeliness, diligence and accuracy are key to bringing the maximum amount of reimbursement in the door. But trending the effectiveness of billing operations requires a more macro approach. In a succinct and informative video recently produced for Kareo, leading practice management expert Elizabeth Woodcock, MBA, FACMPE, CPC, presented her four key performance indicators, or KPIs, that can be used to gauge the effectiveness of any billing operation. Kareo regularly sponsors webinars featuring Elizabeth and other industry experts detailing ways to improve your medical billing and reimbursement. We’ve covered Elizabeth’s first two KPIs in prior postings to this blog: KPI #1 – Days in Receivables Outstanding and KPI #2 – Aged Trial Balance. If you’re curious about her third KPI, keep reading. The adjusted collection ratio is a reflection of how well you are collecting contracted, agreed-upon rates, not your charges. 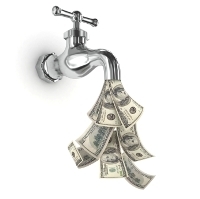 Most payors negotiate rates that they will pay for services, and they often do not correlate to your fee schedule. Obviously, the higher the collection ratio, the better – Elizabeth uses 95-97% as the desirable metric. Why not 100%? Because the allowable charge often includes a portion that is the patient’s financial responsibility. Collecting those monies depends on having an effective effort to get patients to pay at the time of service or afterward. Many practices have a hard time doing this well. But failing to collect those dollars leaves money on the table that will never end up in the practice’s coffers. To learn more about the adjusted collection ratio as a KPI, watch the video below now. You can also view Elizabeth’s videos on Top Three Ways To Improve Your Medical Billing and Denial Management. And be sure to join Elizabeth for a live webinar on August 25 on Everything You Need to Know About Maximizing Patient Collections. In a previous post, we introduced the concept of patient-centered medical homes, or PCMHs. In it, we explained that a PCMH is a physician-led primary care practice designed to provide more personalized, better-coordinated care and improved health at a lower cost. A PCMH achieves these improvements by making care more accessible, focusing on prevention, reducing errors, increasing efficiency, working in partnership with patients and measuring and improving the quality of its care. But, why should this matter to a medical billing professional? First, PCMHs are of importance to billing staffers because the concepts behind the “medical home” are the linchpin of a current and growing vision of tomorrow’s model of healthcare. Quite importantly, the core tenets of the PCMH are the basis for the reforms happening now as part of the Patient Protection and Affordable Care Act (PPACA). The concepts of “accountable care,” “meaningful use,” “quantifiable indicators of quality of care” and many others are fundamental to these reforms. At the same time, these are concepts that have come from the medical-home model that has been evolving for the past five decades. Many primary care practices are already embracing the PCMH model. There are many pilot programs underway, and some 14,000 physicians caring for nearly 5 million patients were participating in these programs by the middle of 2010. And more are following suit. 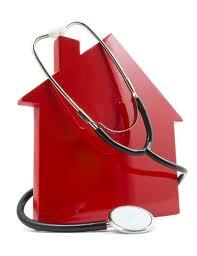 Practices that decide to become medical homes will, to put it bluntly, experience considerable change. Medical billing personnel — and all other staffers — in these practices will be exposed to and part of significant realignment, restructuring, IT investment, policy and procedure changes and more. So, change is coming. But what changes? For medical billing personnel, the biggest question is this: How will the PCMH model impact how billing is handled? The simplest answer is that reimbursement is likely to change… though exactly how depends on many variables. But it makes sense to discuss what is driving the potential and desired changes. For the people and organizations developing the PCMH model, driving the transition and choosing to become medical homes, payment reform is definitely in mind. In fact, payment/reimbursement reform is an essential component to the successful implementation of the medical home model. The reason for this is that the transition to PCMH, the implementation of its principles and the delivery of this type of care are all costly. Providing medical-home care requires more time and a greater dedication of practice resources, none of which are free to the practice. In addition, the entire premise is that a medical home provides greater value to patients while also reducing the overall cost of healthcare. So there should be savings, and the care is — simply put — more valuable. The reforms in the PPACA are centered around not just improving care and reducing costs but specifically around the concept of “accountable care.” And Accountable Care Organizations (ACOs), which are also emerging in the new healthcare reality, are essentially a product of the Medicare Shared Savings Program. Providers are aligning into ACOs in part to share in the financial rewards resulting from the savings provided by their new efficiencies. This notion of sharing in the cost savings is also an important part of the proposed payment/reimbursement reforms specified in the PCMH model. • Reflect the value of both physician and non-physician work beyond just the face-to-face patient visit. • Pay for services associated with the coordination of care—not just within the practice itself but also between other providers, consultants and resources. • Support the adoption and use of healthcare information technology (HIT) to improve quality of care. • Recognize the value of physician work associated with remote monitoring of clinical data. • Allow for separate fee-for service payments for face-to-face visits, making sure that payment for non-visit work doesn’t reduce the payment for the visits themselves. • Recognize the differences in the case mix within the PCMH’s patient population. 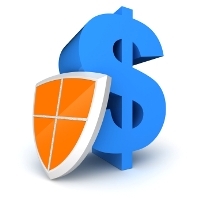 • Allow for additional payments for achieving measurable and continuous quality improvements. • Allow physicians to share in the savings that result from improved management of patient care, such as reduced hospitalizations. Based on the above tenets, there is a “proposed nation model” for changing reimbursement. This model includes payment for services, payment for quality and efficiency and payment for infrastructure support. But these are not all directly tied to what billing personnel will handle in the normal course of their duties. Some of these “payments” are incentives, and these depend on the willingness and specific program design of the payers. The majority of the current PCMH pilot programs are through single payers, who use a three-part payment model consisting of traditional fee-for service, fixed per-month-per-member payments and performance bonuses. How PCMH payment is handled in non-single-payer situations is more complex… and still evolving. In future posts, we will cover other important aspects of the medical home, including billing codes and, of course, the ongoing changes and evolutions in the PCMH model. We invite all medical billing managers and staff to come back and learn more, and to share your comments on what this all means to your practice and the future of healthcare.